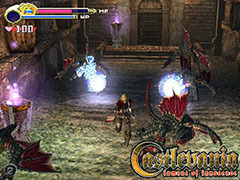 Four years after Konami's first attempt at three dimensional gameplay in the Castlevania series, Konami made a new attempt with Lament of Innocence. A hybrid Metroidvania/dungeon crawler, Lament featured improved gameplay for the series, but not without some drawbacks. Some games take inspiration from the Castlevania series, drawing elements out to make their own take on the formula. 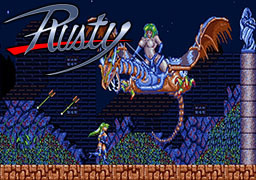 And then you have a game like Rusty which doesn't borrow so much as outright steal to great effect, creating a fun Castlevania game in all but name.